In the final days before Election Day, polls continue to show the presidential race is about as close as it can get, with Mitt Romney and President Obama in a statistical tie nationally in a new Washington Post-ABC News tracking poll. The GOP nominee's 49-48 percent edge, in a poll taken among likely voters from Oct. 29 to Nov. 1, is an exact flip-flop from one day earlier, when the president held the one-point advantage. Perhaps most telling, independent support for Romney jumped two percentage points between surveys, with 51 percent of the critical voting bloc favoring him over Mr. Obama in the most recent poll. 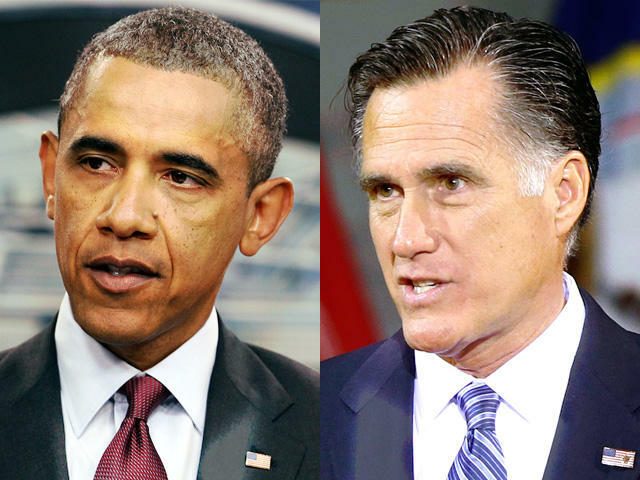 On the issue many voters cite as the most important this election, likely voters trust Romney to handle the economy over Mr. Obama, 50 percent to 46 percent. But asked which candidate they think better understands the economic problems Americans are facing, voters favored the president over Romney, 50 percent to 45 percent. Meanwhile, in Ohio - one of the most contested battleground states where the two candidates have spent much of their final days campaigning - a new NBC News/Wall Street Journal/Marist poll shows President Obama leading by six points, 51 to 45 percent, among likely voters, and seven points, 51 to 44 percent, among registered voters. In both groups, only one percent of voters say they still may change their minds. A CNN/Opinion Research Center International poll also has Mr. Obama up in the Buckeye State, but only by three points - 50 percent to 47 percent - which is within the survey's margin of error. In Florida, another key swing state, polls indicate an even tighter race. A new Mason-Dixon poll puts Romney at a relatively comfortable six-point lead in the state which the president won in 2008 and which the Tampa Bay Times calls "essential to [Romney's] hopes of defeating" Mr. Obama. But the NBC News/Wall Street Journal/Marist poll shows President Obama up by two points among likely voters, 49 percent to 47 percent, and three points among registered voters, 49 percent to 46 percent.